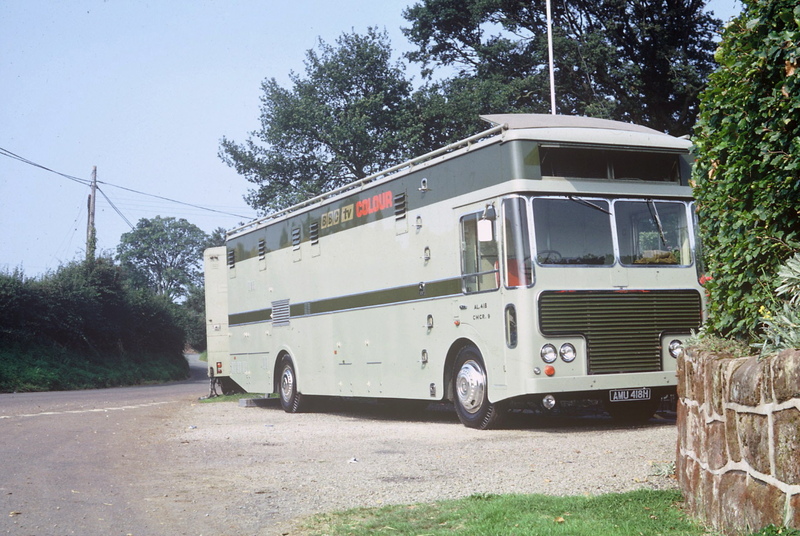 These photos are from an outside broadcast for ‘Gardeners’ World’ with the scanner CMCR9, which was Pebble Mill’s CM1, and later became Manchester’s North 3. The first photo is outside Percy Thrower’s garden. The second is of a rostrum set up for the ‘Gardeners’ World’ OB. I think that the dark shape in the foreground of the second photo is the flap on the roof of the scanner, which was for the inlet and outlet for the air conditioning unit, which was fitted above the cab. Percy Thrower presented ‘Gardeners’ World’ from 1969 until 1975, when he was dropped by the BBC, because of a contract he entered into with Plant Protection, a subsidiary of ICI, to appear in some commercials. 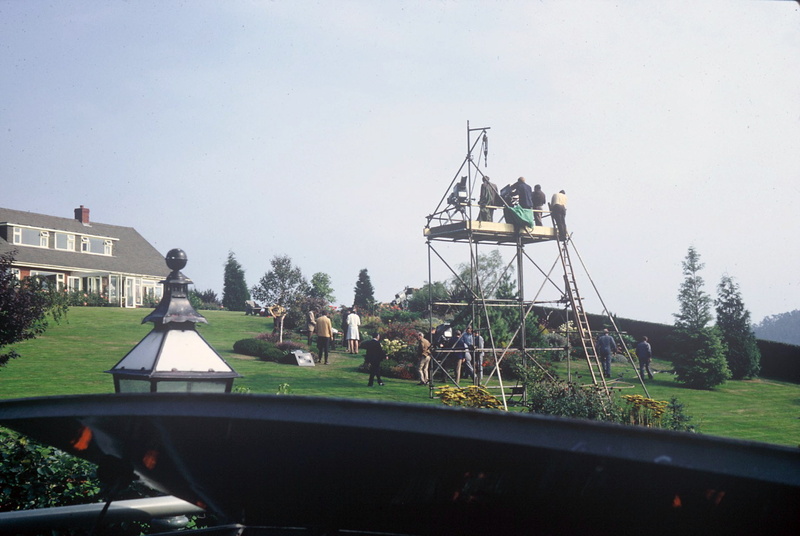 Keith Brook (Scouse) has identified the right hand cameraman up the tower as Don Cooper and thinks that it’s Tony Wigley in the blue jacket to the right of the lower camera.